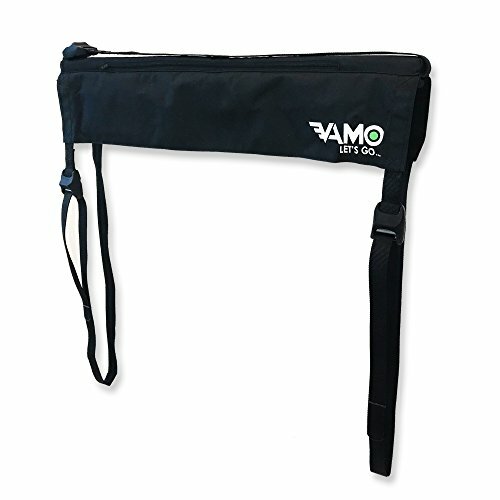 The Vamo 30" wide truck tailgate pad is equipped to hold 2-3 boards and has silicone covered cam buckles so your board and truck won't get scratches from us! Heavy-duty weather resistant ripstop nylon construction, super strong straps with silicone wrapped cam buckles to protect your truck and boards. LIFETIME GUARANTEE and replacement on failure due to manufacturer's defects. If you have any questions about this product by Vamo, contact us by completing and submitting the form below. If you are looking for a specif part number, please include it with your message.